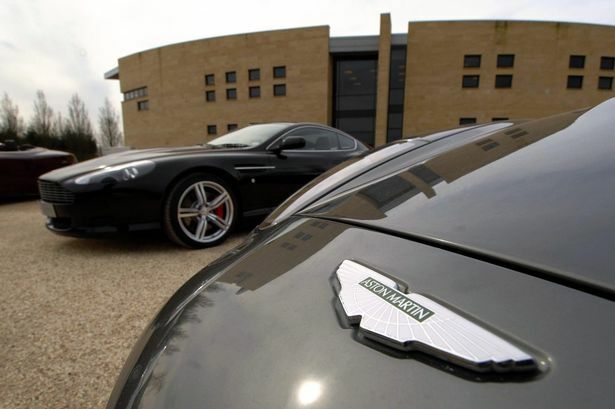 Union leaders have pledged to fight compulsory redundancies after Aston Martin announced plans to cut more than 300 Midland staff . Unite warned there would be an impact on the world famous brand if workers were forced to leave the luxury car-maker. Unite regional officer Tim Parker said the union had “major concerns” over the level of job losses proposed – between 295 and 314 redundancies, which amounts to 15 per cent of the total workforce of 2,100 employees. Administration, professional and managerial roles, largely based at the company&apos;s main manufacturing site in Gaydon in Warwickshire, are among those under threat. Mr Parker said: "Aston Martin has two priceless assets: its global brand name as a British world-class producer of iconic luxury sports cars and, just as importantly, their highly skilled world-class workforce that contribute massively to the design and production of these fabulous cars. "We believe that both of these priceless assets are equally important in securing a successful future for this iconic British world-class business. "We are currently in talks with the company on reducing the overall total number of job losses in the reorganised structure. Unite is opposed to any compulsory redundancies and insist that any job losses should only take place by means of voluntary redundancies, early retirements and ending the use of external consultancy contract staff." Aston Martin announced last week it was planning "meaningful" job cuts as part of a restructuring that would involve the company expanding into electric and "crossover" sport utility vehicles. No production jobs are expected to be cut - indeed, a decision on the location of a new plant is also expected by the end of the year. The group is acting to allay a loss-making trend since the recession. Aston, which has suffered from not being part of a wider automotive group, posted a pre-tax loss of £25.4 million in 2013, the latest figures available. Its former chief financial officer told Reuters last year he did not expect it to be profitable until after 2016.